Transform your dull, empty wall into a highly decorative one by adding the Rydal Mirror with Shelf meticulously designed by Croydex. The top-quality, safety backed glass creation, will certainly impress you with its endurance. 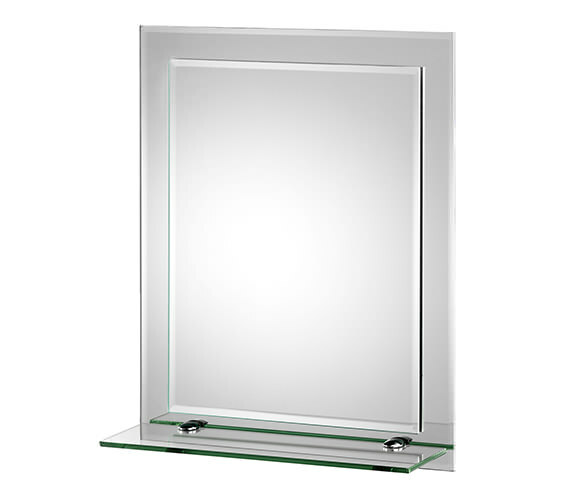 The double layered mirror is supplied with shelf to place your requirements at handy reach. It comes with patented easy to install Hand N Lock system and is available at a discounted price from QS Supplies. Manufacturing code of this product is MM700800. Comes with patented easy to install Hang ‘N’ Lock system. I ordered this mirror with a 4 working day delivery estimate, QS sent me a very brief email after 5 days saying it was out of stock at the supplier. I got a little nervous, so called the enquiry number, where after some time waiting to get an answer, Mohammed assured me the mirror would be delivered just as soon as Croydex could supply, this whole process was repeated 3 weeks later and I spoke to Mohammed once again to be reassured. I decided to be patient and eventually after 6 weeks, the mirror arrived by Yodel courier. The mirror was very well packed, (which was something else that had concerned me). It arrived in perfect condition. Fitting is really easy as the clever bracket allows for fine adjustment of height and level. 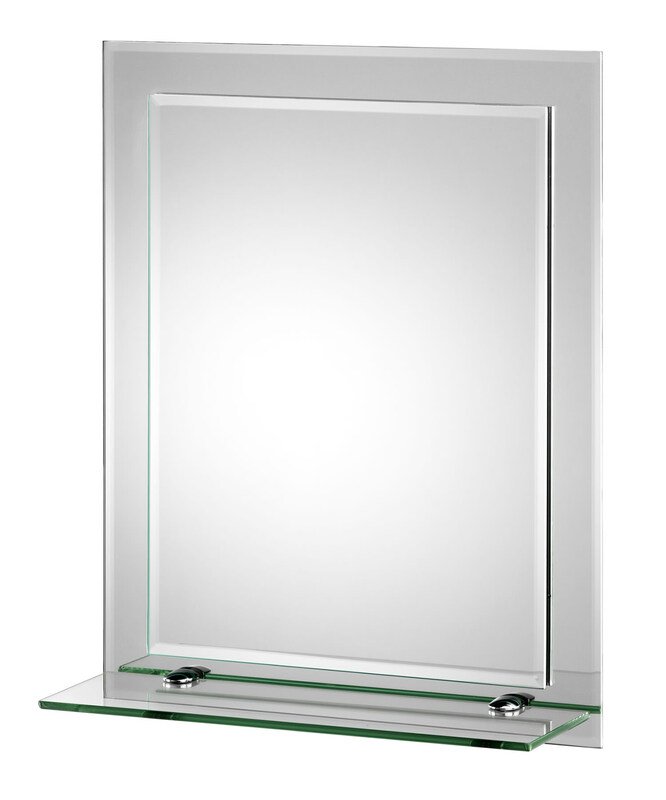 The mirror is a quality product, substantial and quite heavy and is a perfect fit in our en-suite. In conclusion , it was worth waiting for and we are very pleased with our purchase. It also represented great value saving a significant amount over other suppliers. After having twice spoken to Mohammed, I ended up very satisfied, but I think that the customer service process could be improved, if there is a delay in sourcing the product, there should be more regular email updates with more information, explaining the delay, also I would like to have been able to reply by email and find out more, but this is not possible as you are directed by an auto-reply to the enquiry line. This often takes a long time to get through on. I suspect Mohammed is very busy and tries his best, but when buying online, you need confidence that the order is being progressed. I think also the website listing should indicate that there may be delays sourcing goods that are not in stock. However, in conclusion, we are very happy with the mirror and also the price and feel it was well worth the wait. I would like to put this mirror where there is no shelf space ,but could you suggest a minimum height over a basin so the shelf doesn't get in the way of the tap. This product measures 500mm in height and the shelf measures 120mm in depth.You will need to make sure you have enough space above a basin to fit the 500mm and have room left underneath. Hi Hayley, Yes, it needs to be drilled. To avoid drilling, we recommend Miller Montana (QS-V15740) http://www.qssupplies.co.uk/bathroom-furniture-shower-taps/94234.htm. Hope it helps.